One of these boys was kicked out of two other schools before coming to ours. I have friends with a cat that has no name because no one really likes it. Naming something or someone gives it value, so it’s a staggering truth to know that God knows each of us by name. (Is 43:1; Ex 33:17). It gives me warm fuzzies to think God might even call me “Hopey” which was the affectionate name my family gave me as a child. But Gilson´s statement reminded me that God knows not only the names of those who have a love relationship with Him, but also the names of those who have rejected Him. After all, if He knows the name of the farthest flung star (Ps 147: 4, 5; Is 40:26), no sinner is ever going to get far enough away to be forgotten. That thought takes me beyond the warm fuzzies to a place of real hope. The Lord knows the names of every person for whom I pray who has never experienced His salvation. He intercedes with me for them. 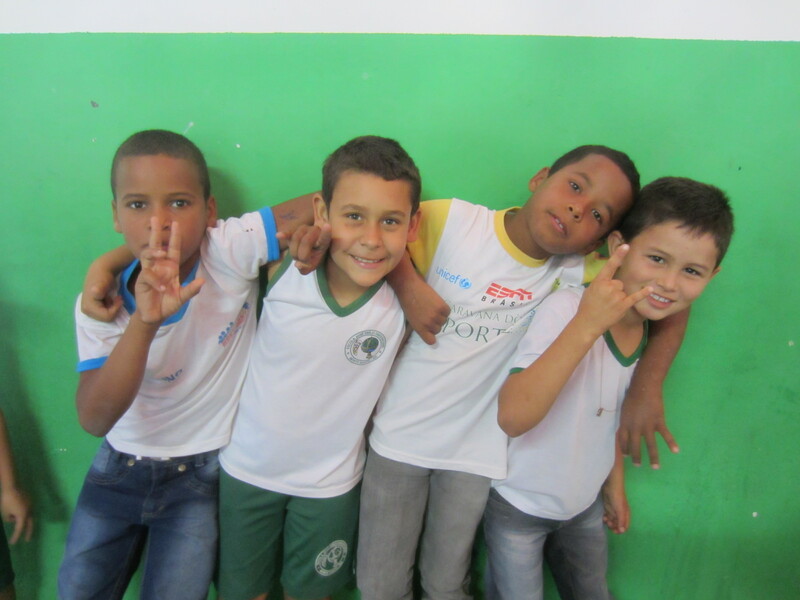 The Monte Santo School has a reputation in the city for accepting kids that no other school will take. Yes, they have troublemakers, but that’s just how they want it. Their goal is to reach out to ALL students with the life-transforming love of Jesus. I’m glad Gilson cares enough to know them by name. Thanks for your beautiful thoughts. I am sure many of those “troublemakers” are learning to fulfill their potential as they learn they are loved.